Sky has confirmed, You, Me and the Apocalypse will not be returning for a second series. 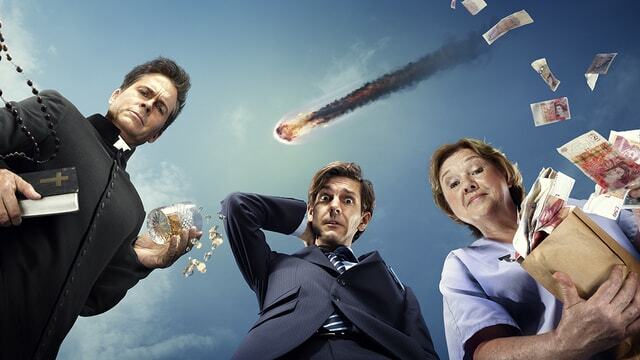 Starring Mathew Baynton, Rob Lowe, Pauline Quirke, Jenna Fischer, Gaia Scodellaro, Joel Fry, Megan Mullally, Kyle Soller, the comedy-drama followes an international cast caught up in extraordinary circumstances days before a comet is due to hit Earth. “The news that a comet was on a unavoidable collision course towards earth triggered a joyous, fun, 34 day dramatic countdown to the end of the world in You, Me and the Apocalypse. Our cast of characters did things they never believed they would do and gave us a show that was loved by critics and the audience alike. Ending the season as such was abusive to viewers. Shame on you! !